Although it may seem difficult to differentiate between everyday anxiety, which affects everybody, and an anxiety disorder by clinical definition, there is a difference. Of course, you will only be diagnosed with anxiety disorder if a doctor evaluates you and makes the official distinction. But you could still be suffering from the physical symptoms of anxiety disorder which is a potentially dangerous condition if left untreated. An anxiety disorder is not a disease that you can contract that requires quick medical attention. But the more you worry, the more intensely negative thoughts feed your mind, the more susceptible you will become to physical ailments and conditions in addition to personality disorders. Stress can kill and an anxiety disorder is certainly one of the most stressful situations a person can deal with. Anxiety always hurts, of course and will result in a sickly, uncomfortable feeling. But an anxiety disorder is a serious condition marked by extreme, chronic anxiety. The level to which it affects you will be drastic since it will affect your thoughts, your moods and even your external behavior. This type of chronic anxiety grows progressively worse as time goes on if it is left untreated. First, there is generalized anxiety disorder which is characterized by constant and exaggerated worry about many different situations, most of which is unfounded. Then there is a panic disorder which sees a person suffer repeated attacks of intense anxiety usually triggered by a seemingly insignificant incident. There is obsessive compulsive anxiety disorder which sees individuals suffer from unwanted recurring thoughts which in turn cause repetitive behavior. Post traumatic stress disorder is an emotionally debilitating episode that is the direct result of a traumatic incident. Frightening memories of the incident recur in a person's mind and often renders them helpless or extremely anxious. Social anxiety disorder involves a fear of being watched and judged by others, and is usually related to an abnormally low self-image. There is also a host of different phobias, which are fears specific to one object or situation, such as agoraphobia or arachnophobia which is an irrational fear of spiders. Separation anxiety disorder is another form, with an irrational fear of being left by a parent or primary caregiver. You will know if you have a major personality disorder because it will get progressively worse until you cannot function normally going through everyday routines. 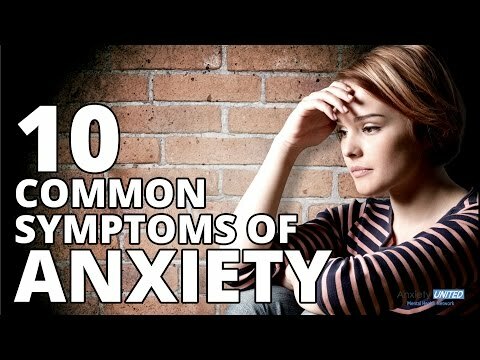 If you believe you may suffer from constant and irrational anxiety, but are not sure if it's a disorder, then for your own peace of mind you can contact a doctor and have an evaluation done. A physical evaluation first, to rule out any health problems. Second, a professional evaluation which is usually administered by a standard test or interview. The important issue is not if you technically have a disorder, but that you seek help to reduce the stress level in your life one way or the other. This may not necessarily involve traditional medication or psychotherapy. Many people find that alternative treatments work wonders in reducing the symptoms of anxiety disorders. If you find that relaxation and meditation techniques are not helping, then seek professional advice. There is always something �wrong� if you are not happy and enjoying life to its fullest.